Not every mobile phone sold is a smartphone. 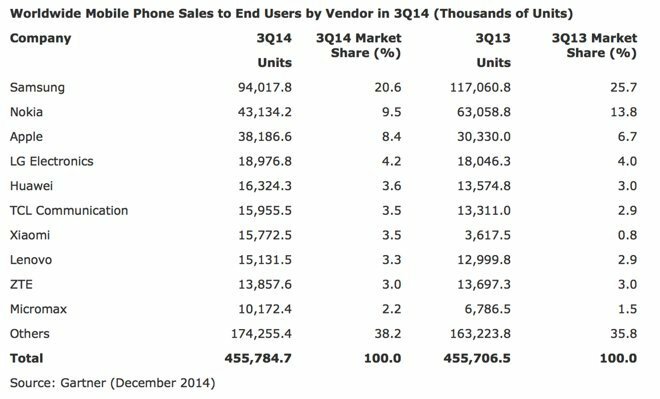 This is why Samsung and Nokia have continued to lead Apple in terms of worldwide mobile phone sales. That could soon change, according to Gartner (via AppleInsider). 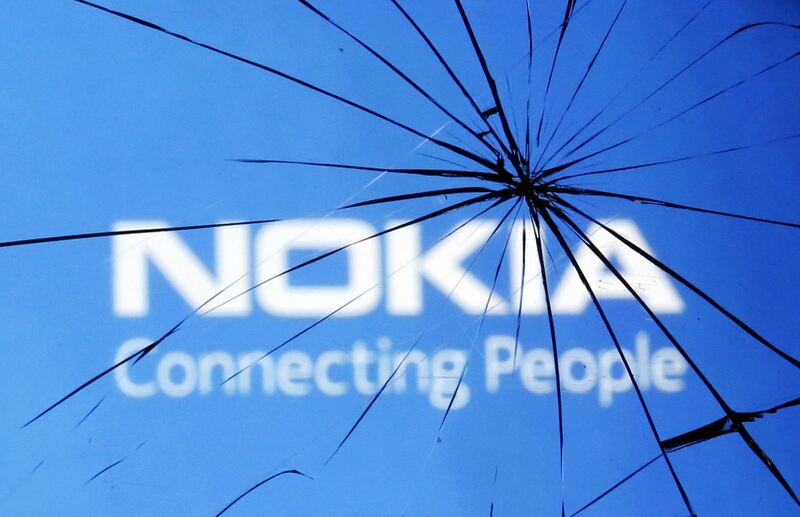 The research firm has found that Nokia’s hold on the No. 2 position continues to weaken and could fall to Apple as soon as the fourth quarter of this year. During the previous quarter, Nokia sold 43.1 million handsets, compared to the 38.2 million sold by Apple. No. 1 Samsung sold 94 million mobile phones between July and September. These numbers represent a 26 percent year over year increase for Apple, and a 32 percent decline in sales for Nokia. Samsung’s sales dropped 20 percent year over year. Under the rubric of market share, Apple rose from 6.7 percent to 8.4 percent in the same period. Both Nokia and Samsung saw their share eroded, from 13.8 percent to 9.5 percent and from 25.7 percent to 20.6 percent, respectively. For comparison, Nokia held some 46.7 percent of the market in the first quarter of 2007, when the iPhone was introduced. Unlike Apple, Samsung and Nokia sell feature phones alongside smartphones. Over the holidays we expect record sales of the iPhone 6 and iPhone 6 Plus, but we should not underestimate the Chinese vendors and local brands. Chinese players will continue to look at expanding in overseas emerging markets. In Europe prepaid country markets and attractive lost-cost LTE phones will also offer key opportunities for these brands. 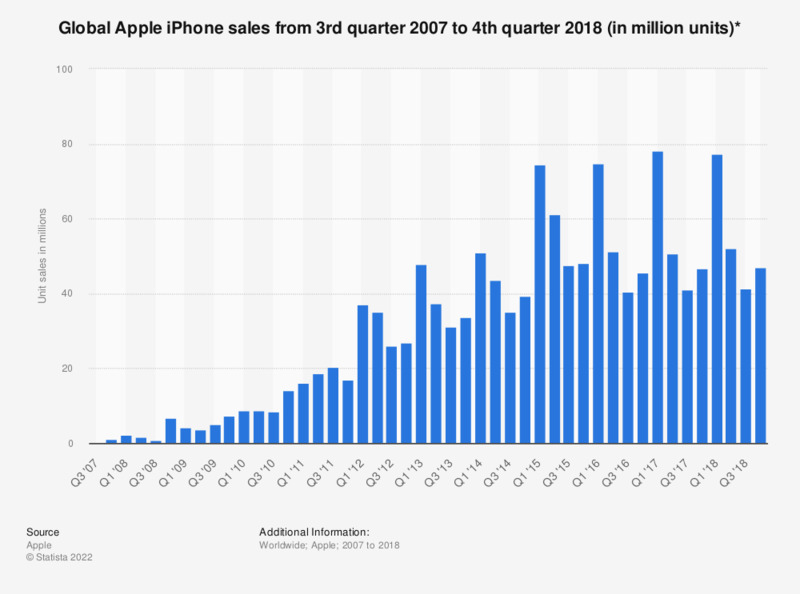 In November, KGI Securities analyst Ming-Chi Kuo predicted that Apple will ship more than 71 million iPhones between and October and December. If correct, this would beat Apple’s previous record of 51.04 million units sold during the holiday quarter of 2013. See also: Nokia Here Maps to find its way back to iOS early next year, 3 months in, Apple still can’t keep up with iPhone 6 and iPhone 6 Plus demand, and 3 months in, Apple still can’t keep up with iPhone 6 and iPhone 6 Plus demand.